If you picked up Dunleavy’s, transported it across the pond, and set it down in the middle of Dublin, no one would know it hadn’t always been there, because it looks (and feels) like one of the many Irish pubs you’d encounter on Essex St... in Dublin (in case you didn't put that together). It’s very casual, with a friendly staff, ice-cold beer, and signature chargrilled chicken wings. A word to the wise: Bring extra cash, because it doesn’t accept credit cards, and you’ll want to spend hours at this gem of a beach bar. Madra Rua is a neighborhood favorite in both Summerville and Park Circle for its welcoming atmosphere, delicious food (if you haven’t tried the brunch, you haven’t lived), and cold beer selection. Futbol fans rejoice, because Madra Rua proudly subscribes to the MLS package, so you can enjoy all your favorite games. Take advantage of the spring weather out on the “Paddy-o” (see what it did there?)! The key to a great Irish pub is that it feels like a community gathering. And there’s no better example of that in Charleston than Seanachai on Johns Island. You won’t find any TVs on the walls, but what you will find is great local music, an eclectic mix of clientele, and one of the best outdoor patios in the city. When you’re hungry, order one of the authentic boxties, cottage pies, or, if you’re feeling adventurous, a salt cod croquette. 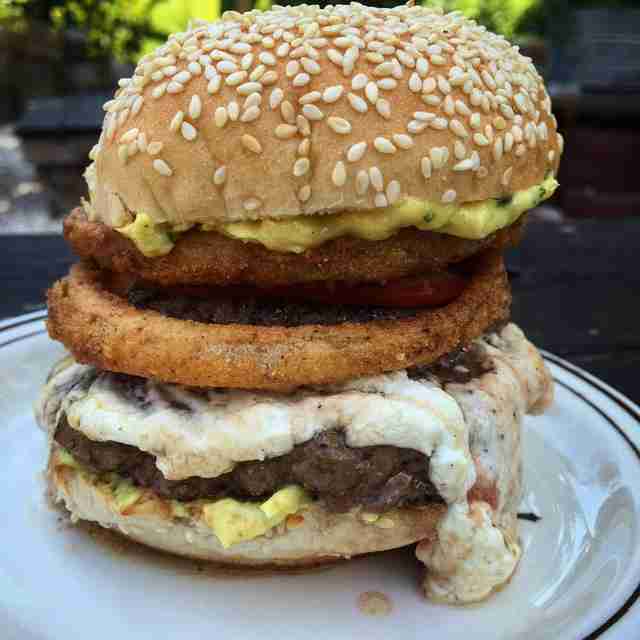 Of course, there's always the option to stop by on a Tuesday for a $10 burger & beer special. 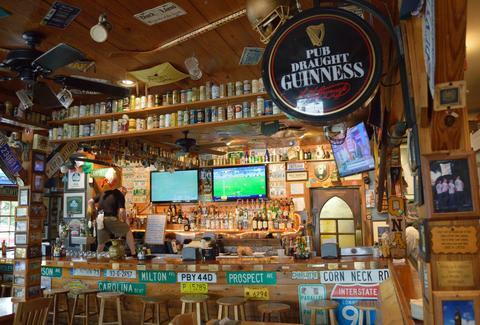 Named after the brewery in Dublin founded by Arthur Guinness (yes, that Guinness), St. James Gate is Folly Beach’s first Irish pub. The space features three bars; a main indoor bar, an outdoor patio bar, and an upstairs bar that also serves as an event space. The food is fantastic, but its true claim to fame is the frozen Irish coffee -- which is basically a Frappuccino that gets you rather buzzed. 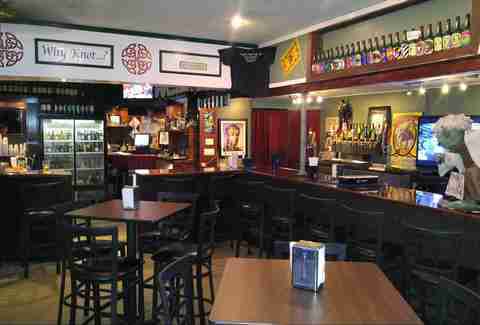 The Celtic Knot is one of the more inventive Irish pubs in the Charleston area. In addition to traditional fare like shepherd's pie and corned beef & cabbage, this place offers specialty drafts like a Snake in the Mud (Holy City Pluff Mud Porter over Angry Orchard), a Black & Blue (Guinness over Labatt Blue), or a Belgian Brunette (Guinness over Stella Artois) for you to enjoy. It also makes a homemade Celtic Knot Cream (think Bailey’s) that is featured heavily in its drop-shot menu, in specialty drinks like an Irish Car Bomb, or its original “Knotty Bomb," Celtic Knot Cream and whipped vodka dropped into cold coffee, a twist on the classic Irish coffee. When you think of some of your favorite Irish drinking songs, like “Beer, Beer, Beer” by The Clancy Brothers, you probably imagine listening to it while sitting in a place like Tommy Condon’s -- largely because there’s nothing fancy about the space. It has some exposed brick walls covered in graffiti, a large hardwood bar, a covered patio overlooking Church St, and a little stage for the live music that plays almost every night. 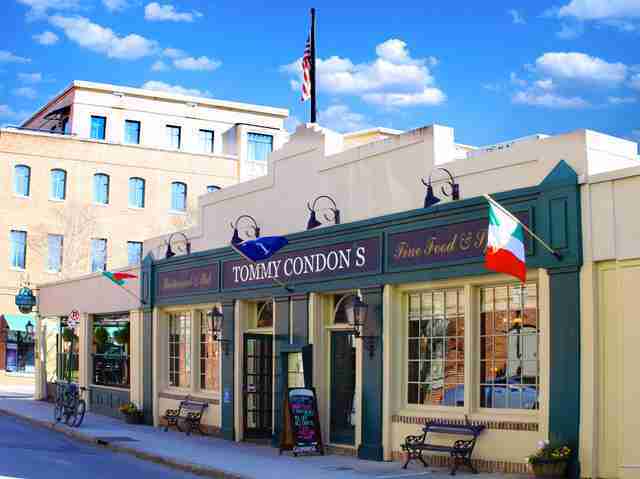 For a cold drink on a hot day, Tommy Condon’s definitely hits the spot. 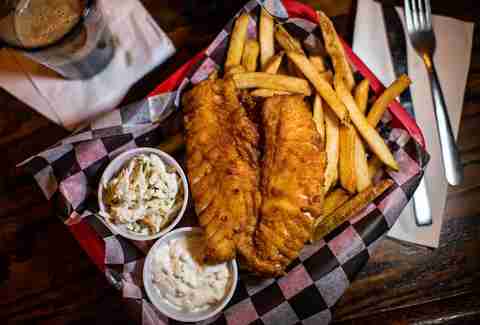 Featuring over 50 beers on tap and in bottles, Mac’s Place is your no-frills Irish watering hole Downtown. This Chicago-themed Irish bar off Market St features a number of arcade games and flat-screen TVs, including mini-flat screens above the urinals in the men's room (I've been told), so you don't miss a minute of the action. The food is a step up from your standard bar food, with crowd-pleasing options like Irish nachos, sweet potato tots, and mac & cheese bites (yes, please). Having been around for over 20 years in the tourist heart of Charleston, The Griffon has managed to find the delicate balance that makes it perfect for both locals and visitors alike. Though lacking in any decor or theme identifying it as a specifically Irish pub (other than a mean dish of fish & chips), The Griffon embodies everything that makes pubs so great: The walls are papered with dollar bills, and the floor is coated in the grime of happy hours past. And yet, you still feel at home here. Not a lot of places in Charleston have Smithwick’s on draft, but McCann’s has that and more -- like Magners, Harp, and Guinness Blonde. It also has a healthy selection of Irish and Scotch whiskeys. As far as food, its menu is a harmonious mix of Irish classics with a modern twist, like corned beef balls or bangers & mash sliders, to name a few. Come on a Sunday and soak up all your alcohol and regret with a full Irish breakfast! Nothing cures a hangover faster. Sydney Gallimore is a redheaded food writer from Charleston who knows how to appreciate a good Guinness pour. Follow her on Twitter @Sydney_inc.